The last time I checked, Microsoft’s only pages about GNU/Linux are the anti-Linux campaign and instructions/knowledgebase articles about “How to Remove Linux and Install Windows”. Remember that shortly after it had signed the deal with Microsoft, Novell removed pages from its Web site if these were critical of Windows or Microsoft. 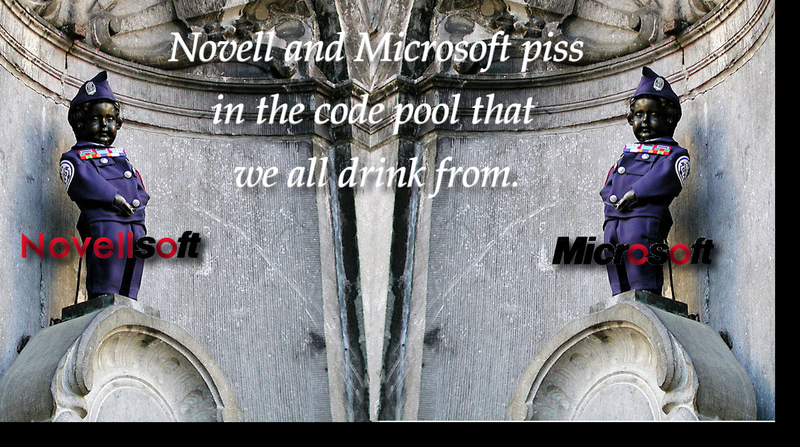 Looking at news from the past week, you will find that Microsoft and Novell have just forged another technical collaboration. He told a media briefing here today that Microsoft will make available its User Interface Automation (UIA) specification, which is an advanced accessibility framework that simplifies the development of assistive technology products for people with one or more disabilities. Another new article talks about Novell and Microsoft working together (with seclusion of course) in a so-called research lab. In September 2007, Microsoft and Waltham-based Novell Inc. announced the opening of a joint laboratory in Cambridge to resolve interoperability issues between proprietary software and open-source software. The laboratory, part of an agreement Novell and Microsoft announced in November 2006, is located in Novell’s Kendall Square facility. Make no mistake. This is not of any benefit to GNU/Linux. It’s all about SUSE Linux. It helps Microsoft combat open standards [1, 2, 3]. 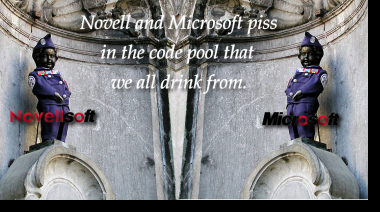 Matt Asay, also rather frustrated with the mess Novell is in, agrees that Novell might as well just become the open-source .NET kingdom of Microsoft. Novell has struggled to compete in the open-source world. Combining with Microsoft hasn’t helped. So why not, as Dave suggests, link up with Microsoft’s .Net code to build an ecosystem around it that would complement Microsoft’s own efforts to do so? Let’s face it: there are still hordes of developers out there who love Microsoft and would probably prefer to create open-source projects around .Net instead of Java or the LAMP stack. Novell could orchestrate this since Microsoft appears to have a PR problem with doing so.